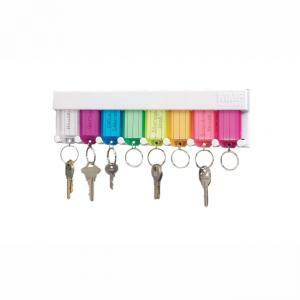 Multicolored Key Rack organizes keys for home, office and garage with colored key tags. 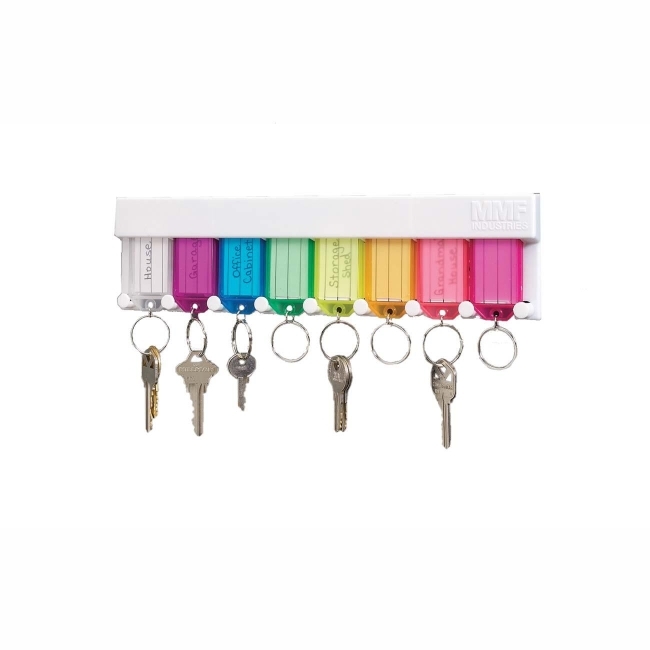 Mounts easily with screws and features eight color-coded key rings with identification tags. Tag size is 2-1/4" wide x 1/4" deep x 1-3/16" high. Tag Size is 2-1/4" Wide x 1/4" Deep x 1-3/16" High.